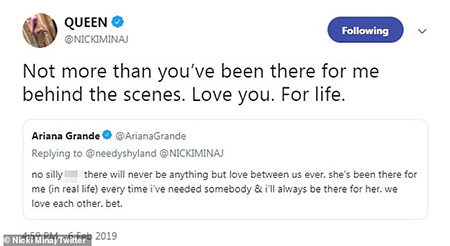 home Lifestyle Nicki Minaj Shows Some Love to Ariana Grande in Her New Song "Bust Down Barbiana"
On Wednesday, famous rapper, Minaj took to Twitter and shot down rumors of a feud between her and Grande. 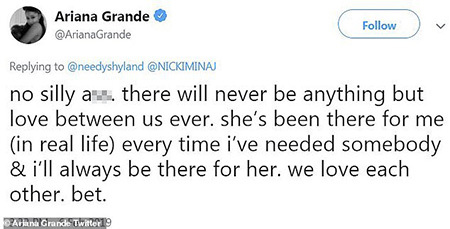 Moreover, in 2016, Minaj featured in Ariana's hit song ''Side To Side'' where she raps. 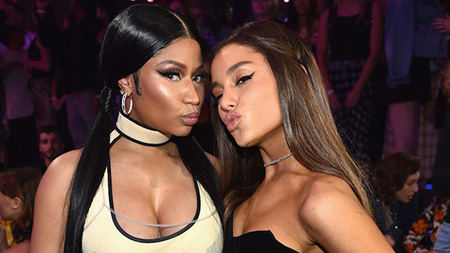 ''I'm the queen of rap, young Ariana run pop.'' The same year, at the MTV Video Music Awards Show in New York, they performed the song together.